Texas Conservative Republican News: 2012 Runoff Election Results HERE for Texas Republican Primary - TED CRUZ WINNING! 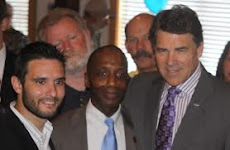 2012 Runoff Election Results HERE for Texas Republican Primary - TED CRUZ WINNING! Our election night returns are updated every five minutes. This page refreshes every three minutes, or you may click on the "Refresh" or "Reload" button in order to get the current results. Conservative from Massachusetts is rooting hard for Ted Cruz!! Come on Texas!! We replaced Ted Kennedy with Scott Brown and now it's your turn!! Elect Conservative Ted Cruz!!!!! !